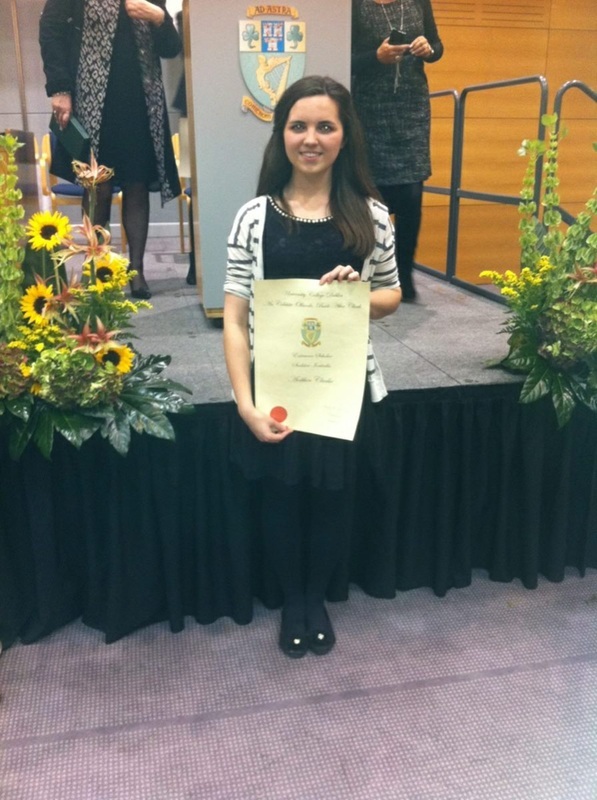 Congratulations to Louise Rickard (Head girl) & Clodagh Kenny (Deputy Head girl) and best wishes in your new roles! 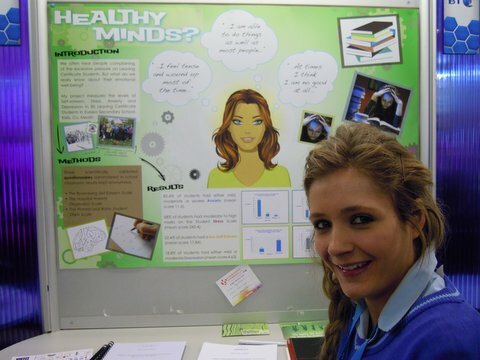 BT Young Scientist & Technology Competition 2012 Well done to Lydia Igoe whose project entitled 'Measuring Stress Levels in Leaving Certificate students' qualified for the BTYSE. Click on the picture! Teacher: Ms Mullaghy. 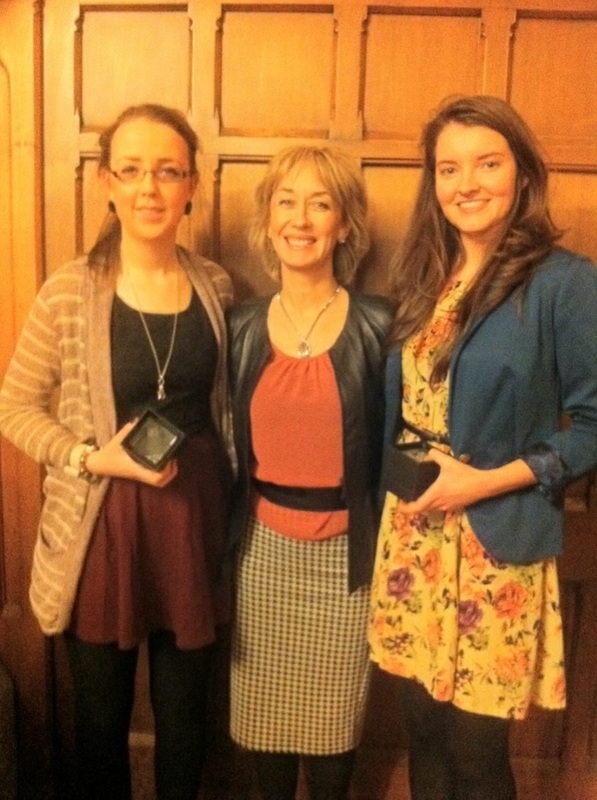 Congratulations to Aoibhin Clarke, Samantha O'Brien O'Reilly and Aoife Smyth, who received the UCD Entrance Scholarship Award for their academic achievement. Congratulations also goes to Claire Condon, Mary Corbally, Sylvia Nowak, Louise Rickard and Shelley Stafford who received an Entrance Exhibition Award to Trinity College as a result of their high performance in the Leaving Certificate examinations. On 12th May as part of the Young Social Innovators programme Rang Niamh TY participated in 5km charity walk “Darkness to Light” in the Phoenix Park. 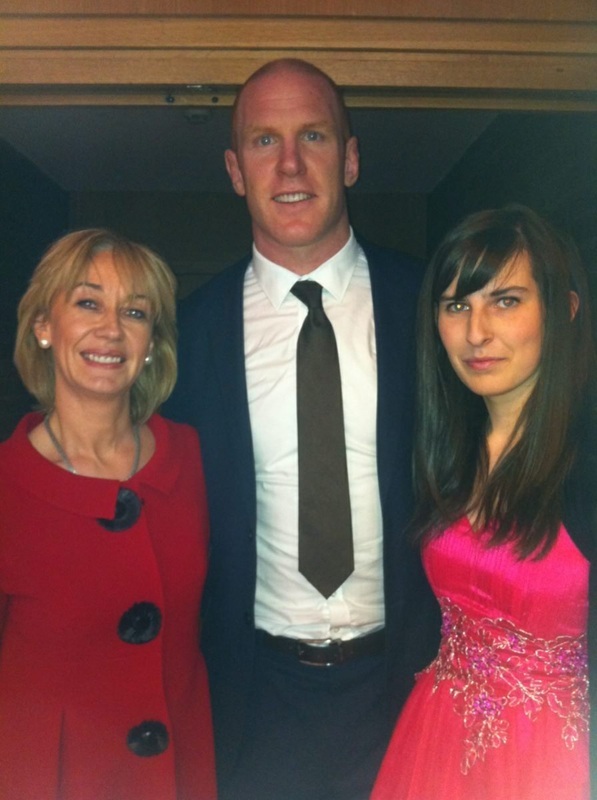 The walk was organised by Pieta House, a centre that specialises in the prevention of self-harm and suicide. It started at 4am in the dark and finished in the bright as dawn was rising. The event is described as a 'symbolic and beautiful event' and marks the recent upsurge in suicides and the hope of trying to stop it, or reduce it. 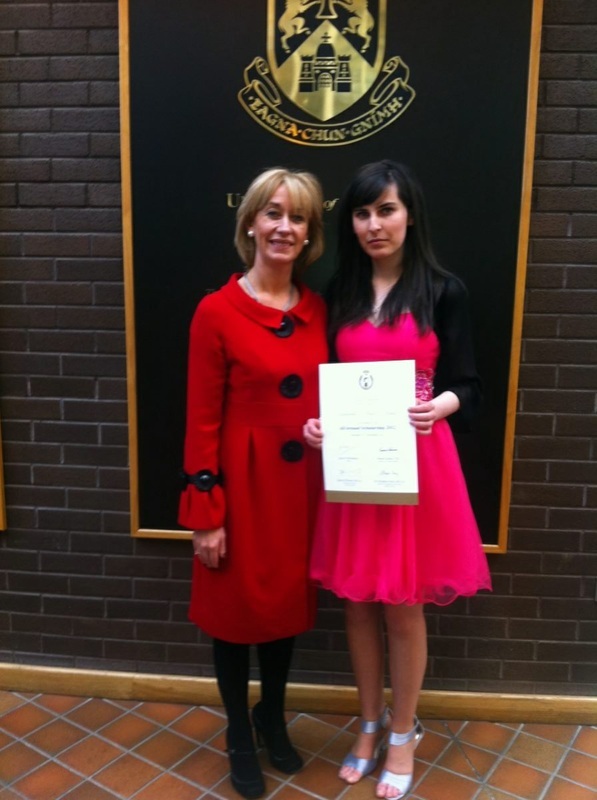 The students raised €1,000 for Pieta House. Marie Peelo a representative from Pieta house accepted the cheque on the night of their graduation and the students made a video diary of their experience. To view click on Darkness to Light above. Thanks to Ms Cronin. Another good year for Eureka girls with outstanding State Examination Results! The results in Eureka were significantly above the national averages. 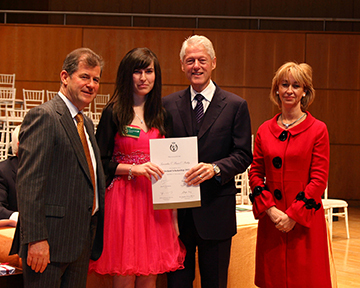 Most students reached their full potential, with 22 scoring over 500 points and 66 scoring over 400 points. 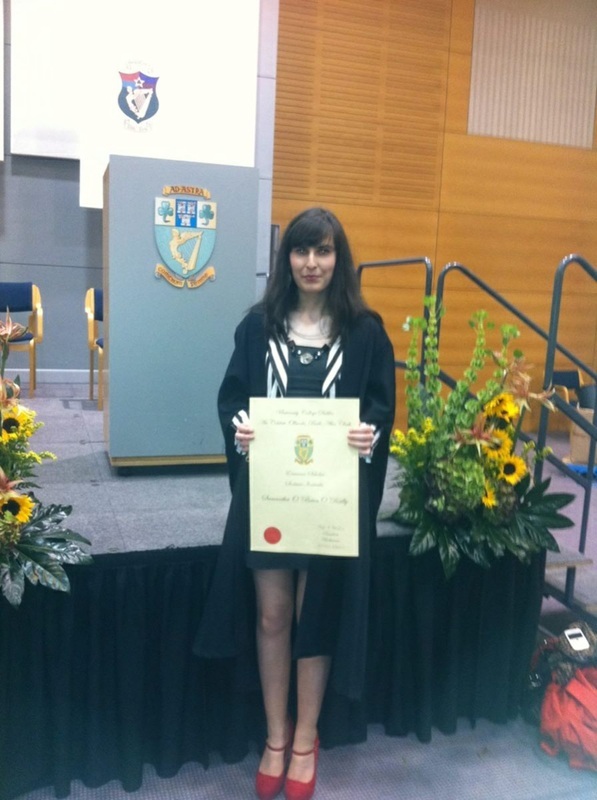 Top marks went to Aoibhinn Clarke who received 7A’s and is now studying Medicine in UCD. In the photo below are girls who also got 6A’s! Louise Rickard (English & French TCD), Sylvia Novak (Dentistry TCD), Samantha O’Brien (Law & French UCD), Aoibhinn Clarke (Medicine UCD), Shelley Stafford (Science TCD) and Niamh Shaw (Medicine,NUIG). 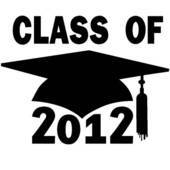 Congratulations to all our students and best of luck with your career choices.